In a great Mexican Coffee, a Chiapas or Oaxaca, you'll find mild flavor with medium body, and a pleasant, dry, acidy snap. Although not necessarily among the world's most famous, if a light cup pleases you, these coffees will be quite fulfilling! This coffee is so mild that it makes a good choice for creating popular flavored coffees. It has an excellent flavor but doesn't overpower the different flavorings. 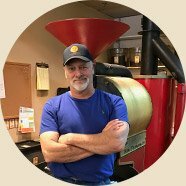 Coffees are light to medium body with mild acidity and balanced, with delicate fruit and spice overtones. 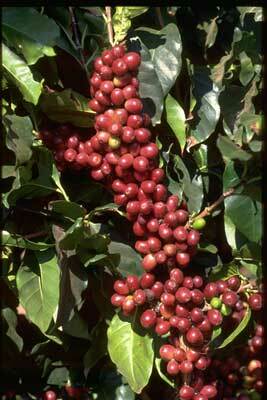 Mexican coffee is moderately priced and thus very popular in blends and as a flavoring base. But don't let this make you think that this coffee does not stand on its own as good coffee! Oaxaca on the southern Mexican Pacific coast produces some wonderful medium body coffees with milk chocolate and almond flavors coming through in the finish. 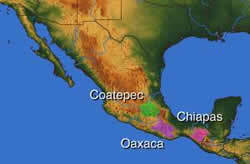 Chiapas, the tropical jungle that is the most southern eastern part of Mexico, borders with Guatemala. Chiapas is the coffee little brother of Guatemala's Hue Hue Tenango region, and this comes through in the cup. Chiapian coffees are brighter, sweeter, with a definite clove spice to compliment the apricot fruit that is in the cup. We love this area, and have recently purchased the entire crop from a few limited fincas (farms) that were outstanding on the cupping table. After waking at the farm, listening to the waterfall, and walking among the trees, we had to re-cup this coffee back at home just to be sure the wonderful surroundings did not cloud our view. Overall, these delicate coffees should not be overlooked. We know that we don't!